The outpouring of support from the Santa Barbara and Ventura communities has been incredible. The Red Cross helps to mobilize local residents who want to help their neighbors after a disaster, including the Thomas Fire. When needed, community volunteers can expand the reach of trained Red Crossers by helping to hand out relief supplies or perform other tasks. As of December 23, 2017, the Red Cross registered 1871 local community volunteers, with 834 community members attending an orientation and working a shift at one of our shelter locations. I had the pleasure of meeting several people from the area who signed up to volunteer during the Thomas Fire. Despite all of their differences, they all felt a calling to help their neighbors. Pictured is Fred Samuel, Sean Whipple, Ben Pallan, and Kam Kobeissi. Sean Whipple, a senior at Humboldt University spent his Christmas vacation feeding residents at the shelter. “My mom lives in Ojai and had to evacuate. I wanted to help others going through the same thing she did. I really felt connected to this”. Susie DiMauro from Santa Barbara works at a local nonprofit, spent her day at the shelter taking down cots and other random tasks. “I had a good time. It was good to help out,” she said. Mom and daughter duo volunteered at the Red Cross shelter at UC Santa Barbara. As some of the lucky few that did not have evacuate in Santa Barbara, Deborah Danielson and her 15-year-old daughter Nicole, still felt the impact on their community. 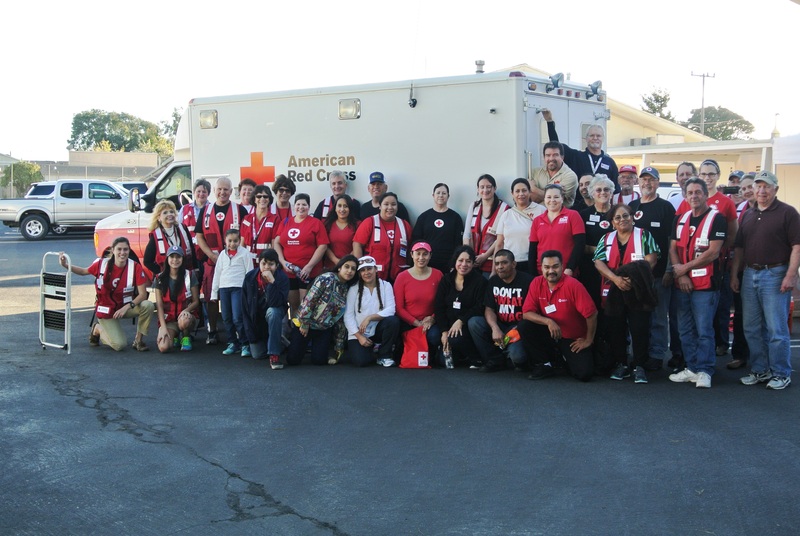 They attended an orientation at our Red Cross chapter in Camarillo, and then volunteered at the Red Cross shelter at UC Santa Barbara on its last day of operation. Along with many other new volunteers, they helped clean up the Recreation Center, which included cleaning cots and restocking Red Cross trailers so they would be ready for the next disaster. Pictured from left to right, Nicole Danielson, Ben Pallan, Deborah Danielson, Susie DiMauro, and Sean Whipple. Together they helped serve lunch, restock trailers, and disinfect cots. “Our community truly came together when we needed it the most. Our volunteers made sacrifices to help ensure their friends and neighbors had shelter during this difficult period. The words ‘thank you’ don’t even begin to describe how much we appreciate their efforts,” said Kimberly Coley, Executive Director of the Pacific Coast and Ventura County Chapters. Thanks to these new Red Crossers and their efforts, the local Red Cross will be prepared to respond to the next disaster. To sign up to become a volunteer, please visit redcross.org/volunteer to sign up today. There are several ways you can volunteer to prepare for, respond to, and recover from natural disasters with the Red Cross. But every July, in a moment that is surely bittersweet, our Red Cross family must say goodbye to our team of AmeriCorps members. It’s bitter, because we will undoubtedly miss their dedication, passion, and lively personalities. Sweet, because we know these 10 young adults are on their way to do great things. 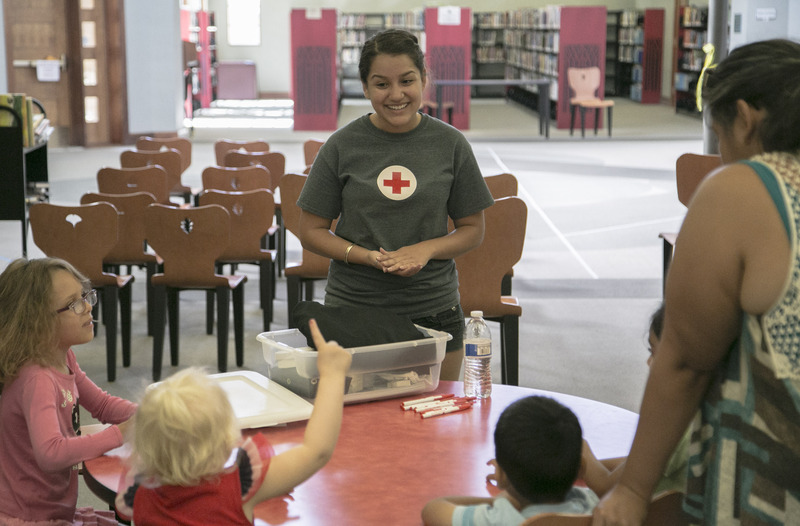 Over the past 11 months, the Central California AmeriCorps NPRC members educated thousands of families at hundreds of preparedness presentations. From teaching kids how to cope during a disaster through the Pillowcase Project, to educating senior citizens on how they can be Be Red Cross Ready, these team members reached countless individuals and taught them lifesaving skills. 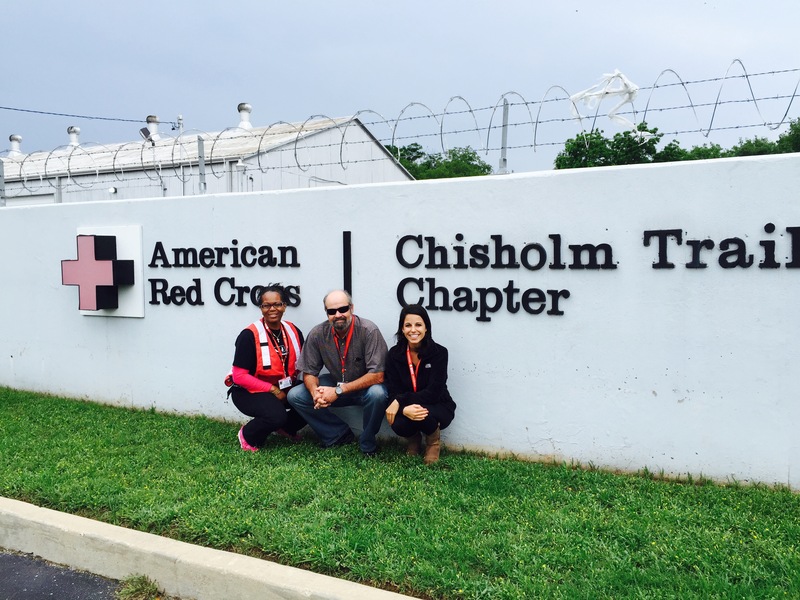 This year’s AmeriCorps also played a vital role in our disaster response. They acted as part of the Disaster Action Team (DAT) to help families facing devastating home fires. This often meant getting up in the middle of the night or putting other plans on hold to bring hope and comfort to a family that had lost everything. But their disaster response didn’t stop at the county line. Several AmeriCorps members had the chance to go on a national deployment, most recently to assist families that were impacted by flooding and tornadoes in Texas. Many operation leaders reported back to us that our AmeriCorps members showed extreme dedication and compassion, representing Central California well – we couldn’t be more proud! Just when we thought their plates were full, this year’s AmeriCorps team took on one of the most ambitious Red Cross projects yet: The Home Fire Campaign. The task: overwhelming. The goal of saving lives: daunting. But AmeriCorps didn’t hesitate and jumped into these neighborhoods, one doorbell at a time. And that’s just the highlights! In addition to these major projects, our AmeriCorps members hosted international conferences, supported Service to the Armed Forces events, created strategies to reach under-served communities, and much, much more. From all of us in your Red Cross family, THANK YOU for the countless hours of dedication. THANK YOU for your inspiration and passion. THANK YOU for the long nights, busy weekends, DAT responses, presentations, resource fairs, Pillowcase Projects, smoke alarms installations, Facebook posts, and ideas so crazy they just might work! THANK YOU for the laughs, the hugs, the tears, and the memories. We wish you well on your next adventure and can’t wait to see the good work we know you’ll continue to do for your communities. So without further ado, cue the cheesy music! This one’s for you, AmeriCorps!